Making Coxing Magazine is like everything else that's good in life. It’s a lot like rowing, in fact: moments of jubilation that require your best effort to create what your mind sees, what your heart wants. The first year of Coxing Magazine has been more than publishing a magazine. Making the magazine has been a series of surprises, those moments when it taught us things we never knew we needed to learn. It’s been print specifications and editorial schedules. It’s been photoshoots halfway around the world and designing at midnight. It’s been meeting people that have stories to tell, and recipes to share and interviews to record. It’s been traveling to factories to see how boats are built and how gear is made. It’s been watching friendships grow out of articles. It’s been flights and road trips and learning that sometimes the best thing that can happen is to have all your equipment disappear in a foreign country. It’s figuring it out. It’s unpacking boxes of magazines and feeling the paper. It’s that smell that permeates the office for days after a new issue arrives: the scent of ink and paper lingering in the air. It’s pushups on the dock and early morning rows, a coffee cup balanced on the deck of a 4+. It’s nights spent dreaming and scheming and planning. It’s the next day when we realize that’s not going to work. It’s the manifesto. It’s watching each issue take form, laying it out and changing it and stepping back. Is it right? What hasn’t been said yet? What needs to be said? It’s meeting a 94-year old coxswain and having cookies on her porch. It’s realizing that there are more connections in our world than we can ever imagine. It’s seeing that we aren’t as fast as we want to be or as business-minded as we should be but that we have something worth doing here. It’s understanding that each stroke is what makes the race and each word is what makes the magazine. And it’s you, our readers. You are the reality we wanted all along. If Coxing Magazine can bring coxswains, coaches and rowers together to form a movement of growth and skill and stories that lets each of us know we’re stronger together than any other way, then we’re in. We’re all in. Together, we’re making the magazine. Jen's a coxswain, in boats and here at Coxing Magazine. Although she rowed in college, when she started coxing ten years ago she found that she's a much faster coxswain than she ever was a rower. Some folks are just made for coxing; Jen is one of them. Truth is, the coxswain's seat is the place she can really be herself. Funny, how that is. If you have comments or questions about the magazine, Jen's your gal. If you'd like to read her Letters from the Editor, she'd love to hear your thoughts. You can reach Jen at jw@coxingmagazine.com. Ch'nel is the creative designer behind the magazine. Quick word of advice: if you've got some place to be, don't get her started on fonts. You can reach Ch'nel at cd@coxingmagazine.com. Barbara Hogan is the world champion in her age group on the erg in the 1K and 2K lightweight events. She is the National Champion on the water in the Double, Quad and Eight. She began rowing after completing her career as a teacher and has spent the past eight years rowing, traveling to row, and cooking to row. Oh, and she is a master at making weight; she has dropped thirty pounds since retiring and is still getting faster on the water and the erg. She was the 2014 USRowing Fans Choice Masters Athlete of the Year. She's also been known to jump in the coxswain's seat when needed. Don't let her fool you, she's a fantastic cox. Mike Cipollone has coxed crews from high school to the Junior National Team. He has coached for the past decade in Philadelphia, helping both coxswains and rowers improve their efficiency, their abilities and their contribution to their team. He runs his family business, John Cipollone, Inc., a Philadelphia-area heating and cooling company, and still makes time for getting in the coach’s launch as often as he can. Karissa Silva is an elite personal trainer based in Princeton, New Jersey. Always looking for a new angle on the old moves, Karissa creates workouts for her clients that generate the greatest gain. Now, she’s doing that same thing for coxswains. http://kelseybohlinger.com and on Instagram @alfadana. Kayleigh Durm is currently in her second year as the coxswain coach and volunteer assistant with the heavyweight men at MIT. She began coxing as a freshman in high school and has continued to do so while pursuing a full-time coaching career. In addition to the coaching she does on the water, she also actively works with coxswains of all levels through her blog, “Ready all, row...” at http://readyallrow.wordpress.com. Anna Jordan is an author, rower and frequent contributor to the Sporty Girl Books blog (sportygirlbooks.blogspot.com). Sujin Kim has been coxing since middle school. Now, breaking into the world of U-19 development camp boats, she looks toward college knowing she wants to keep growing in the sport. Sujin currently coxes at the South Jersey Rowing Club on the Cooper River in New Jersey. Sandra Chu started her career in rowing as a walk-on coxswain at Princeton University in the late 1980s. After a successful collegiate career and a Master’s degree in English and Creative Writing, she now leads the rowing program at William Smith College in upstate New York. Andrea Piscadlo is a pediatric nurse practitioner and a rower. Starting in college, she used rowing to drive her competitive spirit. Throughout her career, she has sought healthy alternatives to fuel that same spirit. Patrick Rufo is a US Rowing Level III Certified Coach and Certified Strength and Conditioning Specialist. He is trained and certified to use the Process Communication Model®, Myers-Briggs Type Indicator, and DISC Behavior Profile to consult with clients and athletes to enhance their training and fitness experience. He created Rufo Optimal Workouts® (R.O.W.®) in 2011. Patrick resides in Collegeville, Pennsylvania, with his wife and two daughters. Daniel Gilbert is a former United States National Team Training Center coxswain, IRA winner and eight-time Head of The Charles champion. He started coxing at Brighton High School in Rochester New York before attending Hobart College. After graduating in 2006, Daniel coxed at Penn A.C. then the Princeton Training center until 2009 when he started coaching. 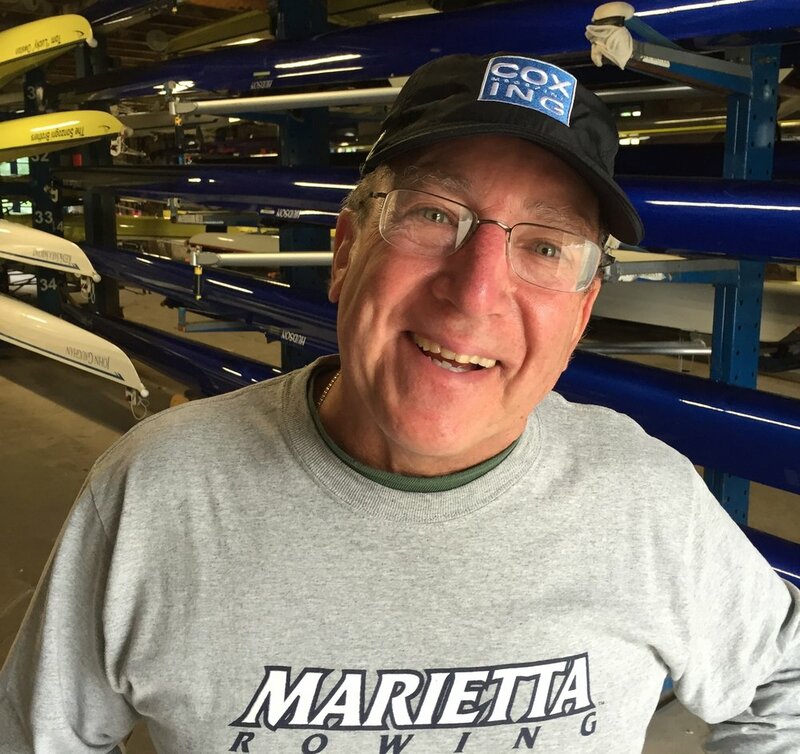 Daniel left coaching to peruse a career in corporate restructuring and now resides in Charlotte, North Carolina, where he volunteers with the Charlotte Youth Rowing Club and continues to cox competitively.